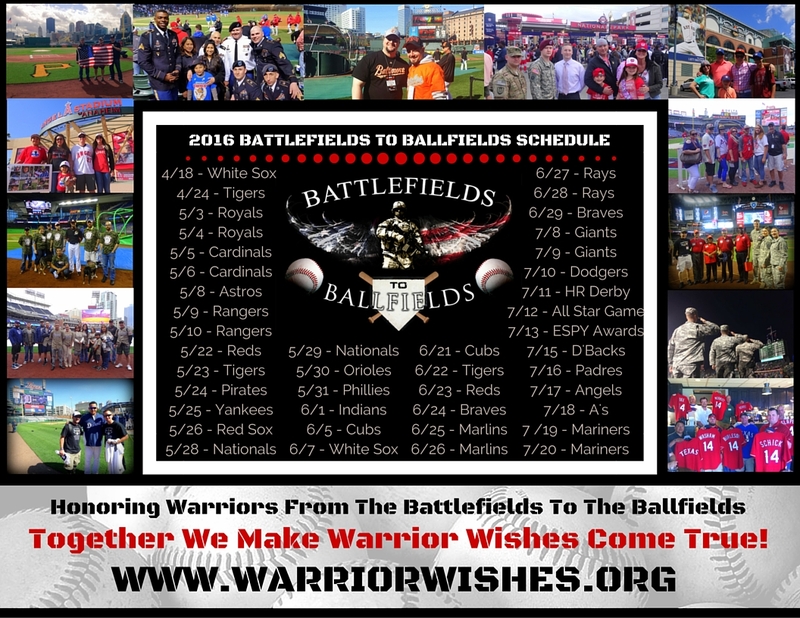 2016 “Battlefields to Ballfields” Schedule Released! After a successful 2015 “All32in17” mission completed, we are proud to announce our upcoming schedule for our 2016 “Battlefields to Ballfields” Mission. We are currently accepting nominations. Warrior Wishes Come True At Superbowl 50!